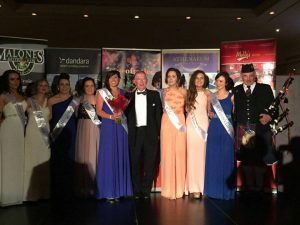 The lovely Bríd Madigan (Ní Mhadagáin) (from Limerick and teaching Primary School children in Scotland) was chosen as Scotland’s Rose of Tralee over the weekend. What a truly deserving Rose. Bríd is Aunt to Ciara McCarthy who passed away in 2012. Bríd had a terrific turn-out in 2013 when she decided to raise funds for Cliona’s Foundation in memory of Ciara by participating in the Great Limerick Run 2013 and raised a tremendous amount of money for us. We are truly delighted for the Madigan & McCarthy families and we will be support Brid at this summer’s festival. 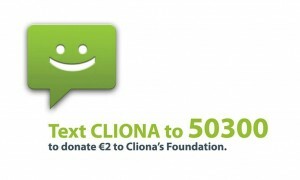 Aoife’s Dad James (and brother in law to Bríd) is participating in the Great Limerick Run this year for Cliona’s Foundation – we are looking forward to being there with James on May 3rd and would like to wish all participants in the GLR 2015 the very best of luck.